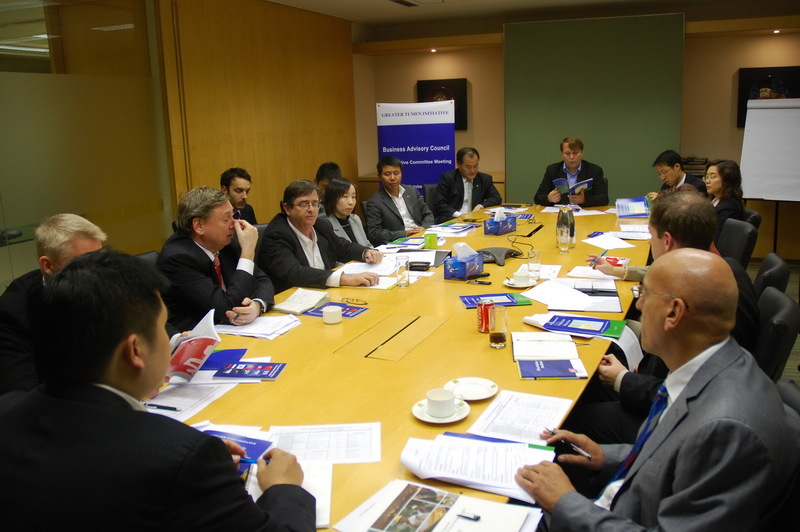 In Sep 2007, the GTI Business Advisory Council (BAC) was created at the 9th GTI Consultative Commission Meeting at Vladivostok, Russia. With the support of the UN Office for Partnership, BAC was set up as private sector-led entity that serves as an institutional platform for permanent dialogue between the private sector and the governments for economic cooperation. It focuses on the Great Tumen Region and aims to promote economic activities, offer improvement proposals on business environment, advertise business opportunities to investors and develop new partnerships and innovative financing mechanism for investment.